The crash of Lion Air Flight JT610 last October should have sounded warning bells. An experienced flight crew of eight and 181 passengers dead and an almost new Boeing 737 Max 8 jet broken at the bottom of the Java Sea, just 12 minutes after taking off from Soekarno–Hatta International Airport, Jakarta on a routine flight to Depati Amir Airport in Pangkal Pinang. Fast forward almost five months and another 737 Max 8 has dived into the earth at a speed in excess of 383 knots (709 km/h/ 484 mph) killing all 157 people on board, this time in Ethiopia. Once again The Boeing Company (Boeing) is “deeply saddened” about the deaths of those flying onboard its fourth generation of the 737, which first flew in 1967. 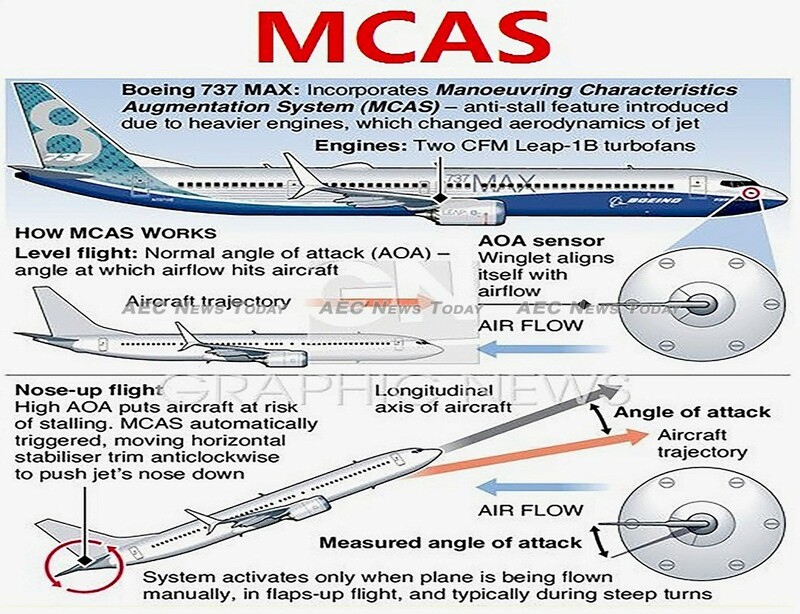 Once again suspicion that a Maneuvering Characteristics Augmentation System (MCAS) designed to stop the aircraft from stalling if it develops too steep a rate of climb is thought to be to blame, with remarkable similarities in the flight of the two aircraft. Once again not a single senior executive of Boeing are reported to have visited the crash site, or met with the relatives of those killed, unlike AirAsia chief Tony Fernandez did in 2014 when one of its Airbus A320’s crashed while en-route from Surabaya, Indonesia, to Singapore. At the time Mr Fernandez wasted little time in traveling to the crash site, meeting workers tasked with the grim job of recovering body parts and wreckage, and those who had lost family and friends in the deadly crash. In an extraordinary move by a company CEO under such conditions, Mr Fernandez shared his private mobile phone number with those affected. There has been no such action by Boeing CEO Dennis Muilenburg. In fact Boeing’s response to both crashes has been appallingly impersonal, limited to prepared statements. 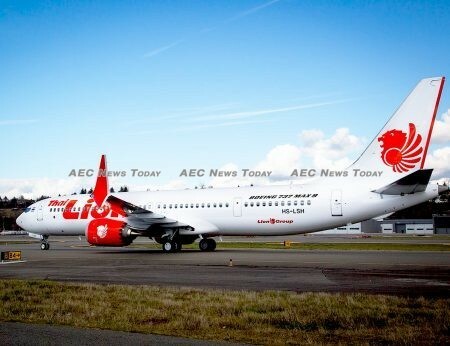 It was such a statement issued in the wake of the Lion Air crash in which Boeing said that Lion Air ‘needed to improve its safety culture’ that riled the airline owners, with CEO, Edward Sirait, saying at the time the airline was reconsidering an order for 201 737 Max aircraft. In the wake of this latest crash Lion Air has once again said it is reconsidering its $22 billion (at list price) order. It has already deferred delivery of four 737 Max’s it was due to receive this year and is reportedly currently evaluating Airbus SE’s A320 family. Boeing refused to comment on the potential order loss. 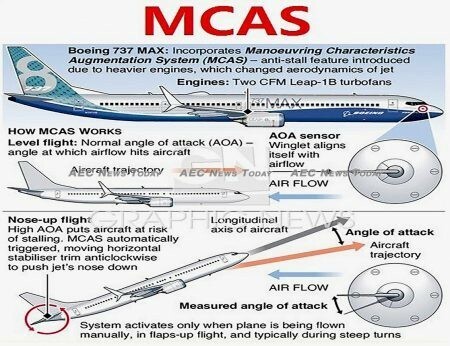 Despite Boeing maintaining that it has “full confidence in the safety of the Max series”, airlines and regulators around the world, with the exception of the US Federal Aviation Administration (US-FAA), quickly began grounding the aircraft in the wake of the latest crash. In a desperate attempt to keep the aircraft in the US skies at the least, Mr Muilenburg telephoned US President Donald Trump, to defend the aircraft, allegedly claiming that a grounding was undeserved until the exact cause of the two crashes are known. That grounding the aircraft until the mystery behind the two crashes is known lest a third 737 Max follow the two previous ones was the prudent thing to do given that 346 people having been killed flying on the 737 Max in the last five months was ignored by Mr Muilenburg in his rush to protect Boeing stock prices. Equally ignored was that Boeing has no plausible explanation as to why Lion Air Flight JT610, or a previous flight operated by the same aircraft in the lead-up to the fatal flight, suffered angle of attack failures after a faulty sensor was replaced following reports of erratic behavior on three previous flights. Mr Muilenburg’s pleadings fell on deaf ears and President Trump grounded all Boeing 737 Max aircraft in US airspace on March 13, making the US (along with Canada and Thailand) among the final markets in the world to do so. China was the first in line with its principle of “zero tolerance for security risks”. 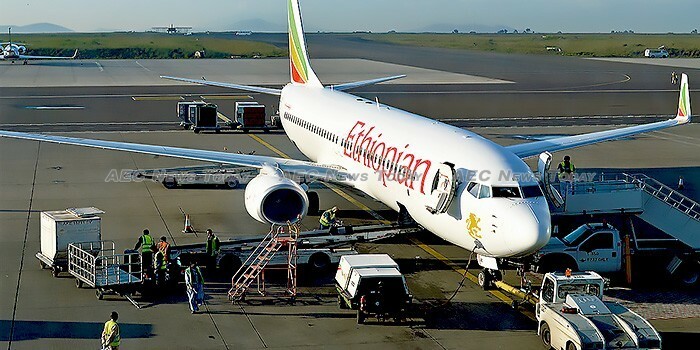 In the latest Boeing 737 Max disaster pilot Yared Getachew declared an emergency less than three minutes after departing Addis Ababa Airport (ADD). Air Traffic controllers who had noticed the aircraft rising and falling erratically scrambled to clear two inbound flights out of the airport vicinity and cleared the flight for an immediate return. The aircraft never made it back. Sweden-based flight tracking site FlightRadar24 published a chart showing unstable vertical airspeed following flight ET 302’s departure through until it disappeared from radar. Despite reaching speeds of 380 knots (about 703kph/437 mph) flight ET 302 never reached more than 1,000 feet above ground level. As a fierce public backlash by air travelers began to mount it was revealed that Boeing has being working on design updates to the 737 Max, which the US-FAA is set to mandate are completed by the end of this month, along with updates to flight manuals and flight deck crew training. However, many people are questioning whether these measures go far enough. Heavily modified and altered over the original 50-year-old 737 design, which itself utilises the 1958 Boeing 707 design fuselage, the 737 Max managed to avoid a full FAA airworthy certification inspections as a result of ‘Grandfather Rights’. While the 737 Max series first entered service with airlines in 2017, its airworthy certification is the original certificate issued 50 years earlier, even though not a single system is the same as that fitted to the original Boeing 737-100. According to industry sources the modifications made to the 737 Max over the previous 737NG version made the aircraft nose heavy and hard to stall, but at the same time much harder to recover from a stall. Hence the development of the MCAS. The positioning of the new engines, further forward with a higher thrustline compared to the previous 737 Classic or 737NG series are also reported to have caused problems. Additionally, the 737 Max has a Wi-Fi system directly connected to the Digital Flight Data Acquisition Unit(DFDAU. Allegedly neither Boeing nor the FAA have tested the MAX to establish whether the on-board CWLU maintenance Wi-Fi system is resistant to electronic interference. Throughout the region carriers have been quick to ground their 737 Max’s, with several said to be reevaluating orders for the aircraft. Singapore Airlines, Lion Air and Garuda Indonesia all operate the Boeing 737 Max in their fleets, while Malaysian Airlines has 25 on order. That order is now subject to government review. Also now subject to review is an order for 200 737 Max’s at a cost of some $25 billion signed by Vietnamese carrier VietJet during the recent aborted summit between President Trump and North Korean leader Kim Jong Un in Hanoi, Vietnam on February 27. A statement issued by the airline said “we are closely monitoring the Boeing 737 Max case and our decisions related to these aircraft will be made after the official conclusions and guidelines of the world’s aviation authorities”. Internationally at least two airlines have said they intend to sue Boeing for losses resulting from the grounding. According to Cameron Stone, an aviation enthusiast and training pilot, before production the Max had trouble with certification in the United States due to engine problems during testing. These caused delays in delivery to the launch customer, Southwest Airlines, but deliveries were carried out to airlines outside of the United States. Malindo Airlines, a subsidiary of the Lion Air Group, was the first airline in the world to receive a 737 Max, raising questions about Boeing’s ethics in delivering a potentially faulty aircraft offshore, before they were ready to fly in the USA where better oversight is available. To date 354 737 Max’s have been delivered worldwide putting the odds of being involved in a fatal crash while flying in one at one in every 177 737 Max’s. With such high odds of being killed while traveling on the aircraft calls are now beginning to emanate for it to be put through a full airworthiness inspection regime by the US FAA, rather than relying on a certificate issued for the equivalent of a DC3. Chief amongst these is the chairman of the US House of Representatives House Transportation Committee, Peter A DeFazio, who has said he will subpoena the FAA and Boeing to testify before congress on the crash of the two Boeing 737 Max’s. “This warrants vigorous investigation”, he told The New York Times.